So the holidays are near and it seems like everyone is putting up their Christmas decorations in early November. Are you guys forgetting that we still have to celebrate Thanksgiving?! As some of you may know my boyfriend and I recently moved in together and this year we decided it would be great to bring the two families together for Thanksgiving Dinner. Well more like a feast since we are expecting a minimum of 15 people, so automatically I thought of an outdoor party in our backyard. 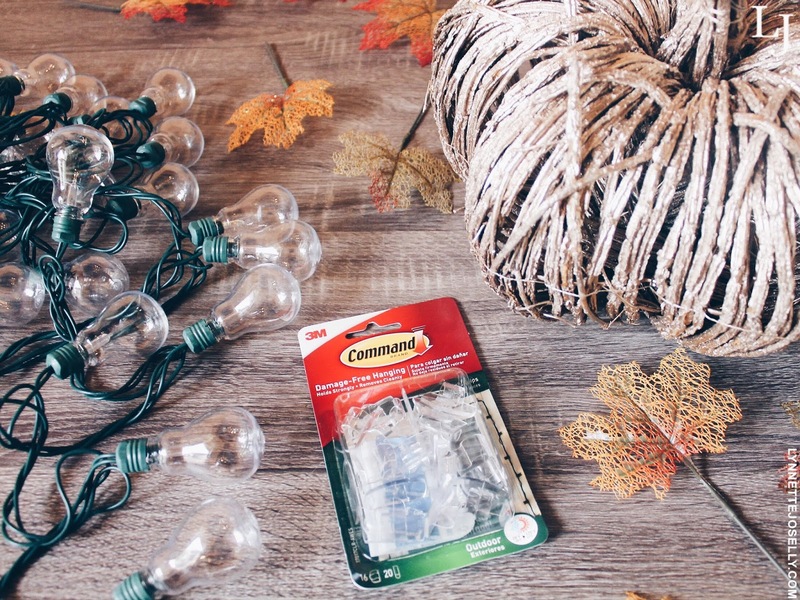 I had the chance to bring my Pinterest board dream to life with string lights which are super easy to install with the use of Command™ Brand products from Walmart. 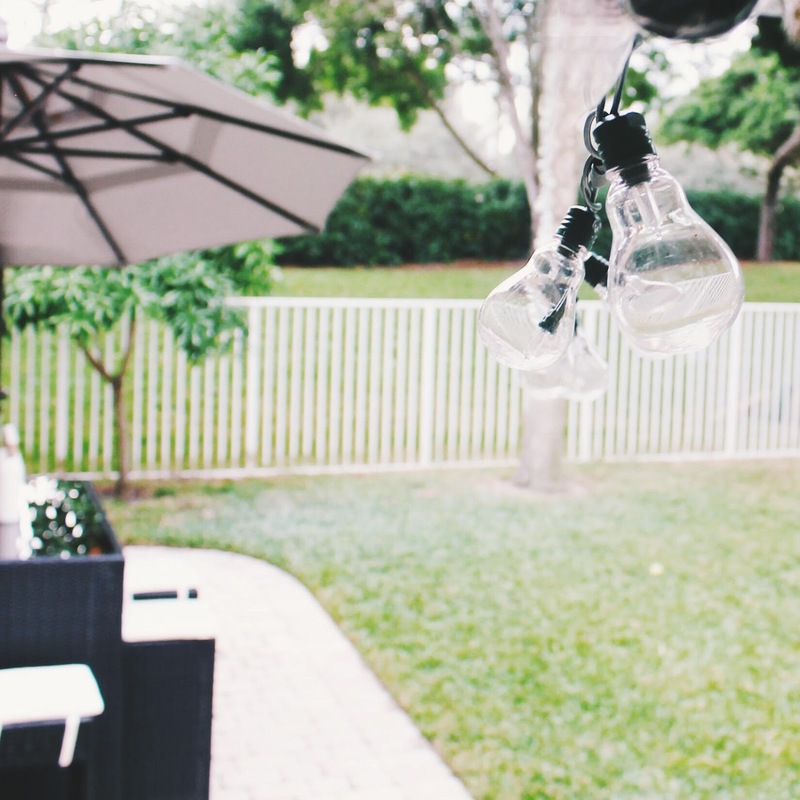 Keep reading to find out how I put these backyard lights up with no screws or nails! I have always wanted outdoor string lights in my own home because the Edison bulbs really add the perfect vintage touch to the yard. However I really did not want to deal with drilling holes for screws or hammering nails. 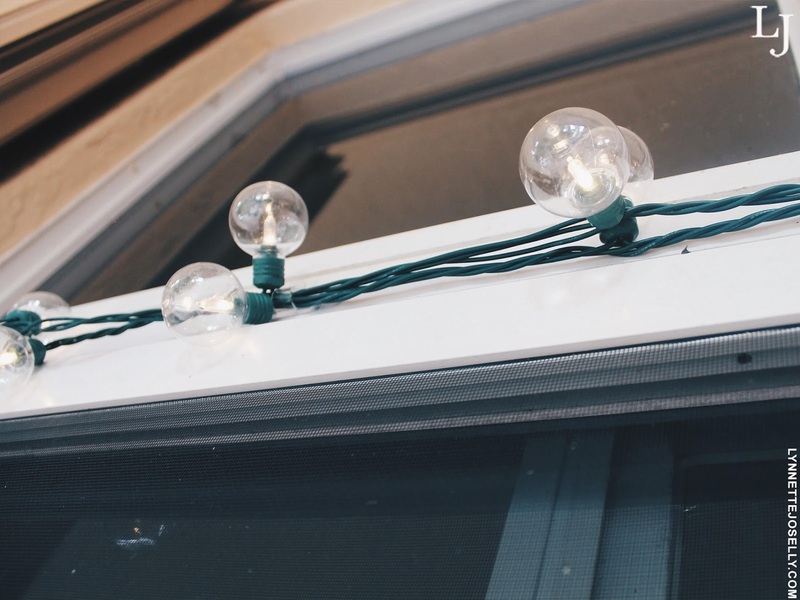 Instead I opted for Command™ Outdoor Light Clips which is a damage-free way to string your lights around a door, up the siding, around a window, or along the gutter. This installation was perfect for my yard since I didn't have patio poles to hook the lights. The first step is to clean your surface with rubbing alcohol to make sure you have a smooth, clean and dry surface to work with. Next you are going to remove the blue liner and then press adhesive on the clear clip. Lastly, remove the black liner and press clip firmly to surface. Voila, an outdoor hook to hang lighting as easy as 1-2-3. You can space out the clips approximately two feet apart. And don't worry if you mess up, they are pretty easy to remove as well and leave no damage behind. I hung the lights alongside the top of the door with the use of Command™ Outdoor Light Clips (which can also be used to organize and hide the extension cord) and then pulled the string lights high enough and wrapped around a tree on the other side of the yard. 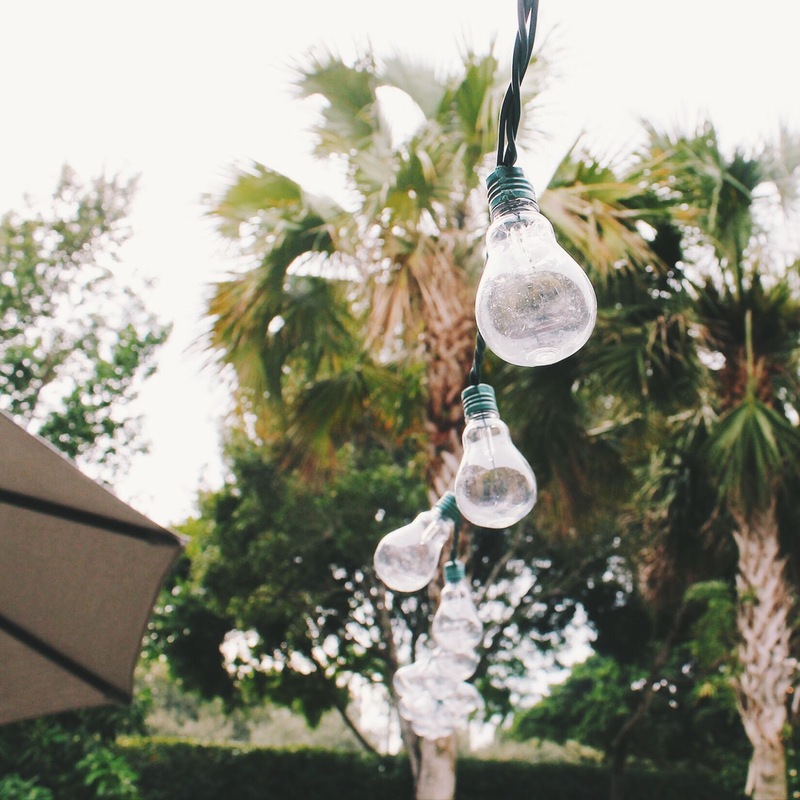 The dim glow of the string lights are the ideal mood lighting for parties, BBQs, weddings, or just everyday backyard get togethers. 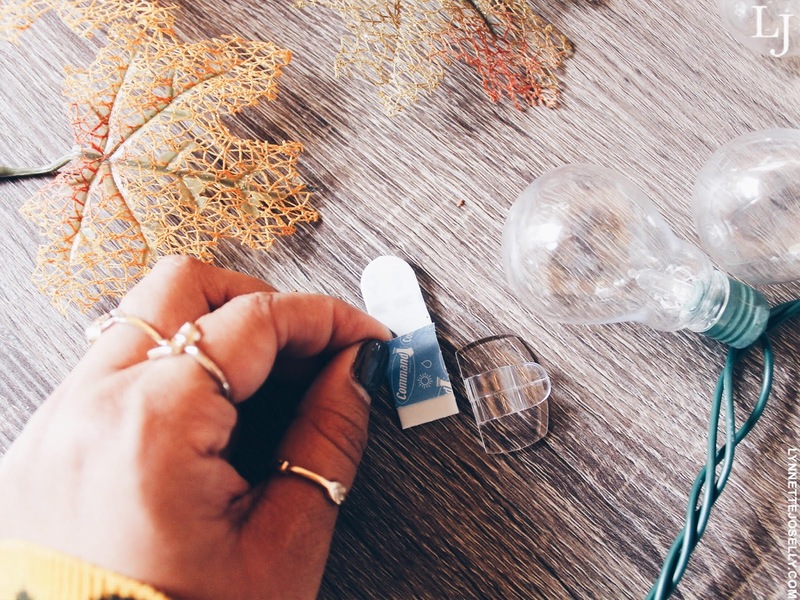 And what's convenient is that the Command™ Brand hooks provide easy transition throughout the holidays; so when December comes around and I change my mind to switch up the decor there is no fear of holes or damage. And of course you are going to want to add some finishing touches such as pumpkins, table decor, center pieces, accent pillow, etc. 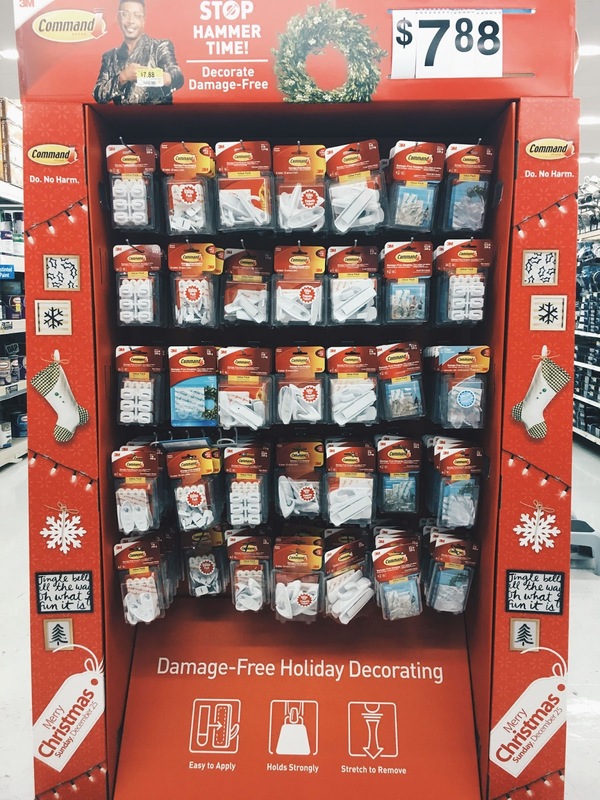 You can find the Command™ Brand products in the holiday section of your local Walmart. 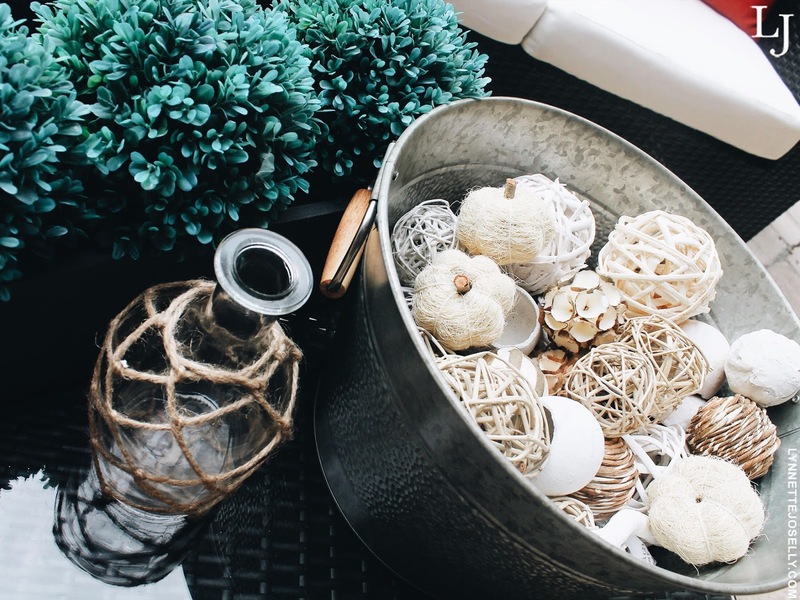 Hope you guys enjoyed some of my home decor and if you are looking for more indoor and outdoor ideas this season then click here to find holiday decor inspiration! Now doesn't the glow of the string lights just make my backyard look magical? 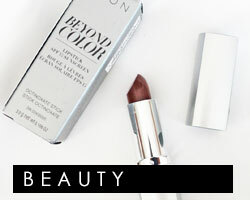 Wow, this looks gorgeous! The lighting and the throw pillows really stand out to me and it's a very inviting space. 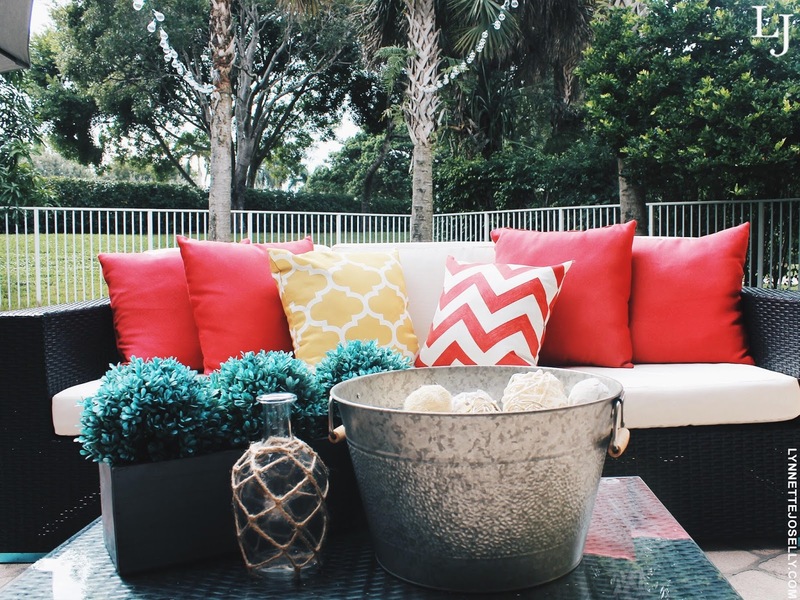 Your outdoor space looks beautiful! I'm jealous you can have an outdoor parry for Thanksgiving. Definitely too cold where we are. Very nice!! 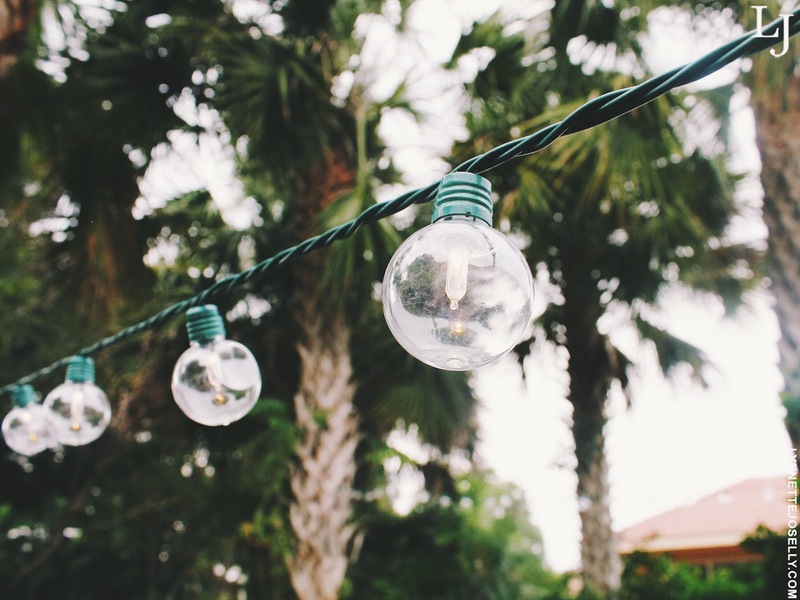 I have been wanting to string up lights in my backyard as well, but I was unsure of how I would do it and I didn't want it to be too much work. This is a great idea!! Such a helpful guide! Love the ideas of the bulbs! I was just thinking it's too cold for backyard entertaining now that it's fall but I see you have palm trees in your backyard so you must live somewhere tropical. I love the cushions on your couch, they are so pretty! Lights make any backyard look amazing! 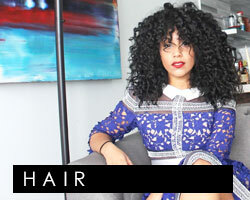 this is next on our list! Lights! I didn't know they made these hooks for outdoors. That is awesome that you don't have to nail any holes. Command hooks are a lifesaver. I've never used them outdoors but I'm going to give it a try now! I love entertaining, everything is done with kids now and fellow mums with their kids. I don't do much in the evenings though, so not much need for lights. But do love nice garden furniture. I just bought a Command clip to hang a new wreath on our front door. Using them for outdoor lights is a great idea too! Those pillows really do stand out! I really like how the outdoor space is utilized. Its like another room in the house. Ok - not even kidding, but we have those SAME lights in our backyard and I LOVE them! And - its amazing how it makes a happy difference to the vibe! Awesome ideas. I love lots of lighting with outdoor dining and entertaining. I love the string of lights you have!! So pretty! I seriously can not wait to have a yard to decorate, but for now I'll live on my patio! 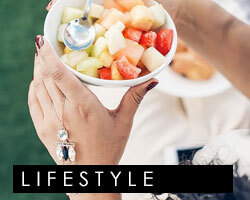 You must be someone who has an incredible backyard and garden during the summertime. I love your decor!!! Those lights are so unique! What a great idea. I love using command strips. They're the only reason why I have pics on my walls! Cute ideas! I love backyard lights like that and Command strips are so helpful! What great ideas! I need to do this. what a beautiful backyard. in nyc we just might be standing in a foot of snow...lol. My brother used those lights at his wedding reception. They were so cute! I think I need to invest in a few for myself. I adore strung lights in the back yard! They add so much beauty and remind me of stars. I see them a lot along the beach here in California but I want them for my little patio. It does seem like each holiday starts sooner and sooner. I went shopping for some Thanksgiving goodies from my nieces and nephew at Michaels and everything was already Christmas. I had to search the entire store to find what I wanted. I love how you decorated your outdoor space. The lights are amazing and I'm sure your families are going to enjoy celebrating Thanksgiving under them. This is so pretty! If I had a backup yard I'd be doing this! Great job on the decorations! It looks incredible! I use command hooks for everything. I had no idea they make outdoor ones. These are on my shopping list. Thanks! This is such an inviting space! I love your ideas -- I have to say though that before the last hurricane -- you know, the one where Rick Scott proclaimed "You're all gonna die", my husband and I decided to remove a 12 x 24 foot awning on the back of the house to prevent it from being ripped to shreds by the storm. We also took down all of our lighting which had been strung around the perimeter. We have yet to put it back together.... so I'm coming to your house. these look like some super cute ideas! i cant wait to try some of these. I love those little lights! 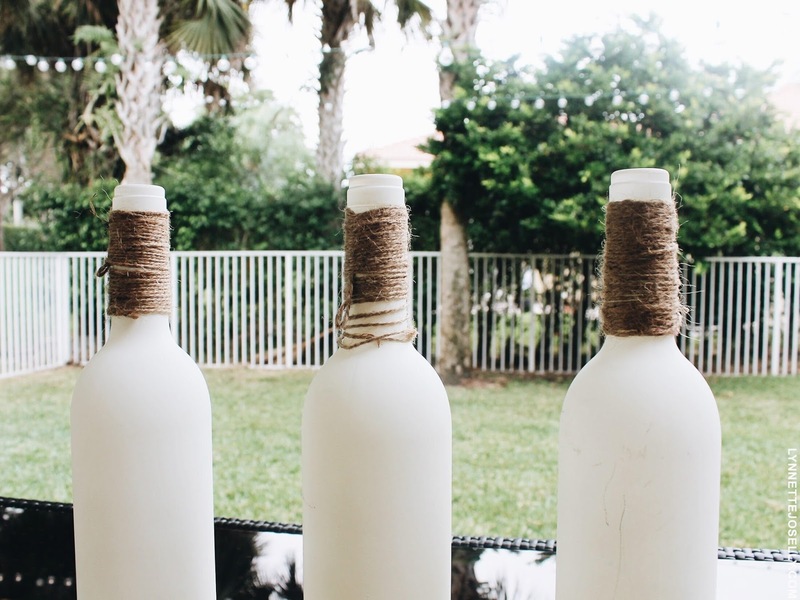 They are totally my favorite way to spruce up a backyard. We actually used those same ones at our wedding to decorate around the dance floor! This is such a cute idea! I bet this one and I'll try to do something like this on weekend. I love those pillows! It's really perfect decor and those small things are really perfect. I totally love this idea. So pretty and festive! Command strips are the bomb dot com!! Great ideas! Everything looks so festive and reminds me that celebration is in the air! I absolutely love entertaining in the fall. It is my favorite time of the year. Great ideas! You backyard is beautiful! I love how everything turned out, you're so good at designing! Those lights are a nice touch. I love how your incorporated holiday decorating into your outdoor space as well. That is something I really need to start doing. Those Command products are the best! I use them so much for decorating now. They are perfect for temporary decorations. What a pretty set up! I love how gorgeous your home is. I wish I had time to work on mine! Absolutely beautiful fall themed backyard arrangement. Looks so inviting and cozy! Oh I like this idea! 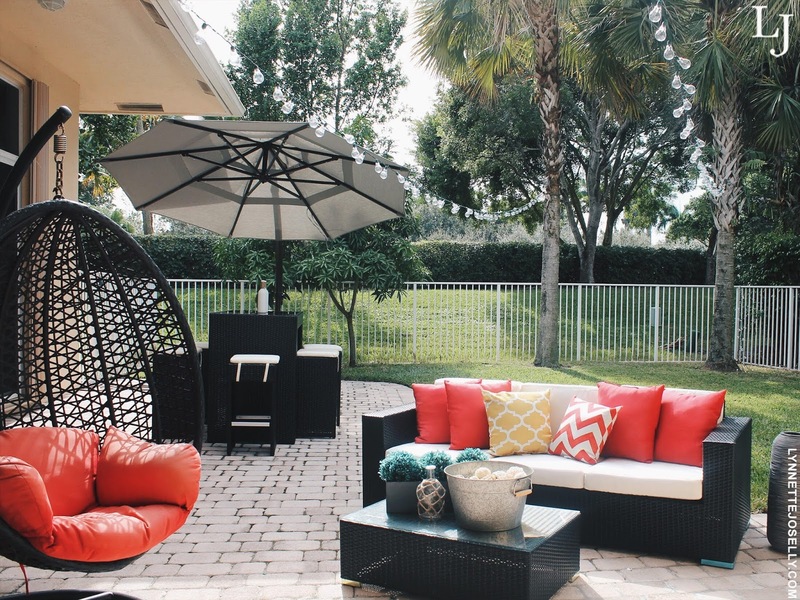 It's really nice to have a backyard that's ready for entertaining guests. I like the lights! The backyard is so lovely! It's really a fall-perfect place. I seriously wish I had a backyard (live in an apartment)I would decorate my backyard for every season and holidays I love like Easter, Halloween, Thanksgiving and Christmas. These are all really great ideas and supper cute!! It's a very nice spacious backyard.. Can accommodate more visitors and the ambiance is very relaxing..